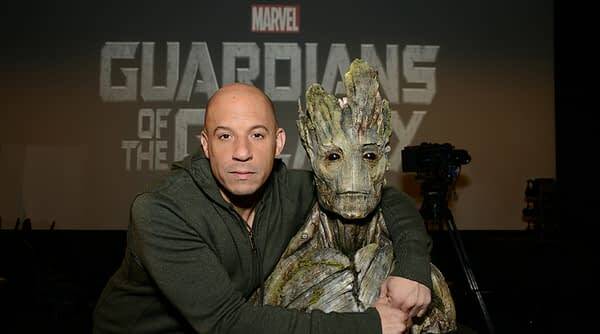 This has been a strong rumor for so long that I didn’t realize it wasn’t official, but Marvel has just confirmed that Vin Diesel will be the voice of Groot in Guardians of the Galaxy. The star of the Fast and the Furious and Riddick franchises will lend his voice to Groot in Marvel’s live-action “Guardians of the Galaxy,” rounding out the team that includes Star-Lord (Chris Pratt), Rocket Raccoon (Bradley Cooper), Gamora (Zoe Saldana) and Drax (Dave Bautista). Featured in four of the six movies in the fan-favorite “Fast & Furious” franchise, Diesel has helped the series gross over $2 billion at the box office; and will reprise his role in “Fast & Furious 7.” Diesel’s most recent film, “Riddick,” the third film in the franchise that has so far earned a cumulative $267.3 million across the globe, debuted this year at the top of the box office. 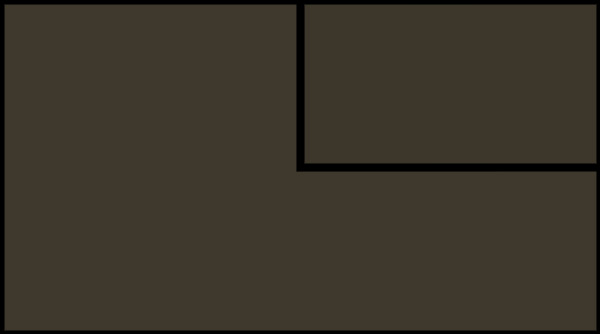 In addition to lending his voice to several video games, Diesel’s received great acclaim for his voice work in the celebrated animated film “The Iron Giant,” directed by Brad Bird. In the far reaches of the Marvel Cinematic Universe, an unlikely cast of characters including Peter Quill, Gamora, Drax, Groot and Rocket Raccoon must join forces to defeat a cosmic force of epic proportions. Directed by James Gunn, the live-action “Guardians of the Galaxy” will take fans to new corners of the Marvel Universe when it hits theaters August 1, 2014, but in the meantime stay tuned to Marvel.com for the latest news as it breaks, including official casting, first looks and more! In addition to “Guardians of the Galaxy,” Marvel Studios will release a slate of films based on the Marvel characters including “Captain America: The Winter Soldier” on April 4, 2014; “Avengers: Age of Ultron” on May 1, 2015; and “Ant-Man” on July 31, 2015.